At Norfolk Care Homes we understand that looking after a a loved with dementia can be scary, frustrating and challenging. They require plenty of support, so will you and the family. That’s what we’re here for. We try to maximise your loved one’s independence by encouraging them to maintain any skills that they still have. We work with them to pro-long their abilities by giving them gentle prompts and lots of encouragement. We always make sure everything is fun and interesting, it’s also rewarding for us when we see them so happy. Our Care Home Can Help? Our staff encourage the residents to take part in daily activities. We constantly work with them, while remembering that they are all individuals who have different likes and dislikes. Personalisation is the key to looking after our family. Safety is one our prime concerns, we guarantee it by working with each person’s individual needs, as well as a care plan, and we also ensure all our employees have the correct training for their roles. The care home senior or the manager is always available if you or your family have any concerns, we encourage you to talk regularly to us and provide us with as much information as possible. If you or a family member would like more information on Dementia, then we can help. We can arrange a specialist Dementia meeting for the family for in-depth explanations. We’re always here to answer any questions you may have. Dementia care is all about making your loved one feel valued, needed and important. 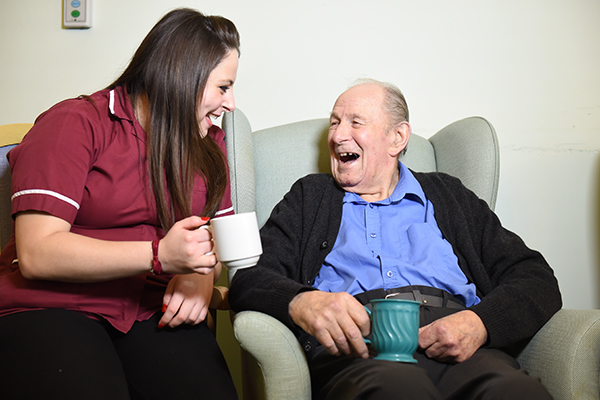 90% of our employees have had Dementia training this includes the kitchen team, our cleaners, and maintenance. Our specialised Dementia training places our employees into the place of someone with advanced dementia and covers all situations. The training covers Dementia residents who need assistance with eating or how to help those struggling with a wheelchair, coping with the lack of control, or feeling lost. All our employees use the stand aids and are placed into the hoists, so they get first-hand experience of how it feels for our residents. 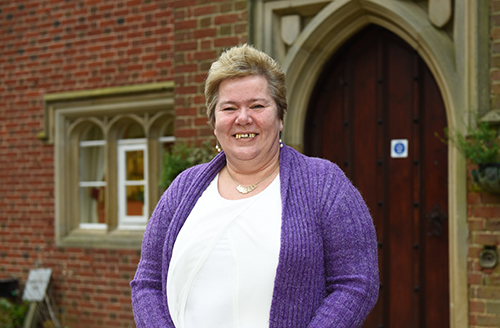 One of our Care Home specialists in Dementia care is Angela Newsome. If you have an enquiry about specialist Dementia care, please contact Angela, who is here to help you and your family.